These pillows are well made and the material is as shown. Vibrant, not muted at all. They seem as though they will hold up and last a long time. Good value for the price. Add a touch of elegance and a vibrant splash of color to your home decor with these throw pillows. 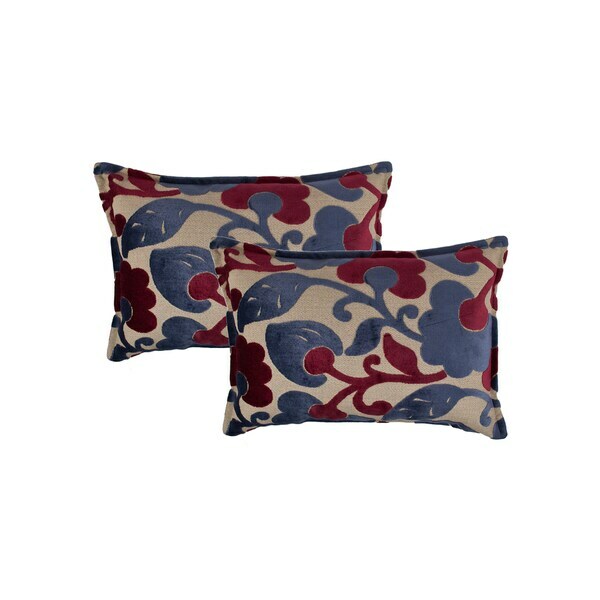 These throw pillows feature a striking floral velvet applique design with red solid faux velvet backing that fuses soft comfort and modern style into stunning beauty.. Spot clean recommended.